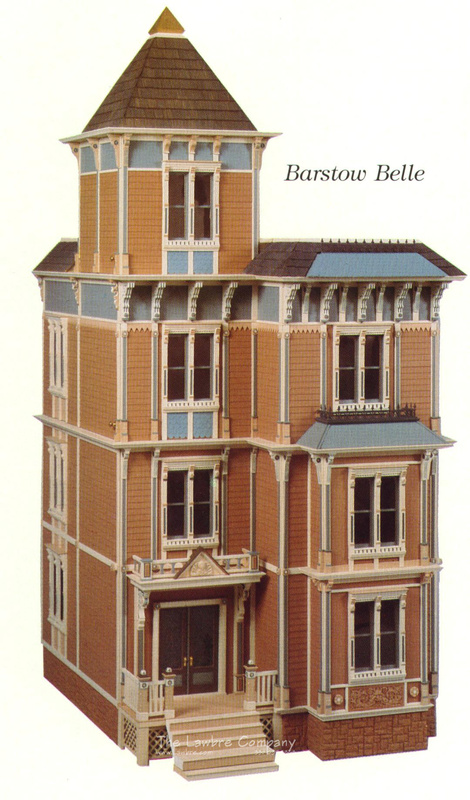 The Barstow Belle is one of our Painted Ladies, and it is a beautiful example of the San Francisco Stick/Eastlake style. The Barstow Belle has three floors (with twelve rooms) plus an tower room, and it measures 28" wide x 33" deep x 60" high. This house is a good choice for the person with limited space. You may order this house either as an unfinished shell or finished completely on the outside. Call for pricing.